We will be shooting at a number of actual PRISONS in the LA area. Applicants can be expected to engage in regular prisoner activities like RIOTING, SCREAMING, and FIGHTING. However, this is a HUMAN CENTIPEDE movie. THERE WILL BE SOME SCENES TOWARDS THE END OF THE SHOOT REQUIRING PRISONERS TO BE PART OF THE HUMAN CENTIPEDE. Actors will be fully clothed, but will be asked to pose on their hands and knees rear end to mouth. The casting notice helpfully advises potential human centipede trunks to not apply “if uncomfortable with this process,” as if anyone would pass up the chance to form part of a 500-strong human centipede. 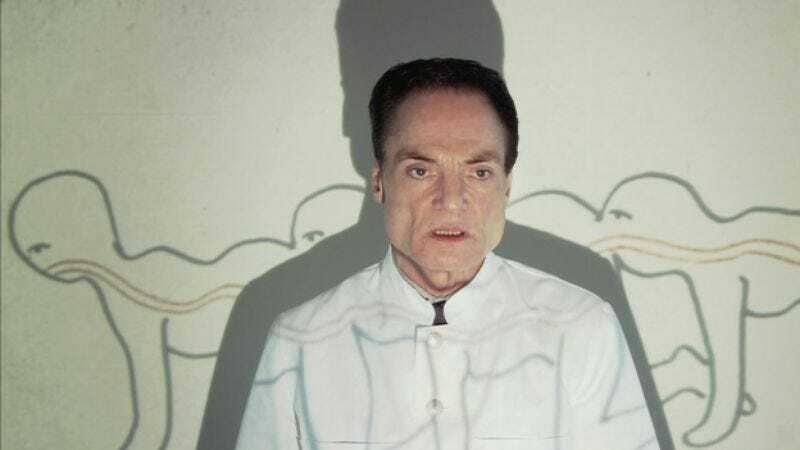 Indeed, Tom Six is even offering ten lucky fans a chance to join the human centipede fun, so start booking your flights to Los Angeles pronto.